Ostkaka, literally cheese cake in Swedish, is a specialty of the Småland region. Historically its earliest mention is in the 1520s in a list of foods served on New Year’s Day in the household of Bishop Hans Brask in Linköping. Today you can buy it ready-made in any supermarket making it an easy and popular dish to take to parties and Christmas celebrations. If made in the traditional way, rennet is needed to convert milk into cheese that is broken up and mixed with eggs, cream, flour, sugar and almonds. But the preparation can be greatly simplified by utilizing cottage cheese. There are recipes in Vår Kok Bok (essentially Sweden’s Joy of Cooking) for both the traditional recipe using rennet and the simplified version using cottage cheese. My family has our own recipe that was brought to us by my grandmother, or farmor. My farmor (Swedish for my father’s mother) was a full-blooded Swede born in the U.S. Her father immigrated to Lanyon, Iowa in 1888 where there was a small but strong Swedish community and her mother was born in the U.S. to Swedish parents from Småland. Some of my favorite Christmas food traditions have been handed down from my farmor. Particularly her rye bread which was one of my first posts, Swedish meatballs, and this ostkaka recipe which was always the highlight of Christmas Eve for me. This recipe differs from the recipes I have seen in Sweden. It has at least double the sugar, doesn’t include flour, and uses almond extract instead of chopped sweet almonds. The vanilla extract and cardamom are also atypical but I think the cardamom is a fitting touch since it plays a big role in Swedish holiday baking and it adds visual appeal sprinkled over the top. Despite these differences my Swedish in-laws have confirmed that the taste and consistency of this recipe are as they should be. And of course it is infinitely better than what can be bought in the supermarket. Not only is this ostkaka simple to do, it’s flat-out delicious. My favorite part is the chewy browned-bits that form on the top. In my home we always topped our ostkaka with strawberries and whipped cream. This year I busted out the Swedish strawberries we picked this summer and froze for special occasions. They did not disappoint. Sadly, my farmor passed away nearly eight years ago at the age of 93. Even though my family lived in Utah and she was in Iowa, I was fortunate to get to know my her well, particularly in my adult life. It seems a fitting tribute to share one of her recipes this week since I have been thinking of her so much. If you give this recipe a try, I hope you enjoy it as much as my family does. If you can’t find dry curd cottage cheese, just buy regular cottage cheese (not reduced fat), put it in a colander, and rinse it until all of the milky juice is gone. Then let it sit for 10 minutes or so for the rest of the water to drain out. It doesn’t really matter if you use small or large curd cottage cheese, but if you have a choice, I’d recommend going with the small curd. I don’t ever make this recipe with chopped almonds, but if you would like to give it a try use 1/4 cup sweet almonds coarsely chopped, skip the almond extract, and let me know how it turned out. The original recipe calls for 1 cup of sugar but it can do with less if you prefer. If you don’t like super sweet desserts go with the 2/3 cup (130g). My personal preference is 3/4 cup (150g). If you find you didn’t add enough sugar for your taste you can always add more sweetener in the strawberries or whipped cream. 2. Whisk eggs, half & half, sugar, and extracts in a large bowl until well blended. Add the dry curd cottage cheese and mix well. Pour into an ovenproof baking dish and bake in the center of the oven for 1-1 1/2 hours until a knife comes out clean. The baking time is dependent on the size of the baking dish you use. I use a 7″ souffle dish and nearly always bake it for the longer amount of time so I get the chewy bits on the top. Just keep an eye on it so it doesn’t get too brown or dried out. 3. 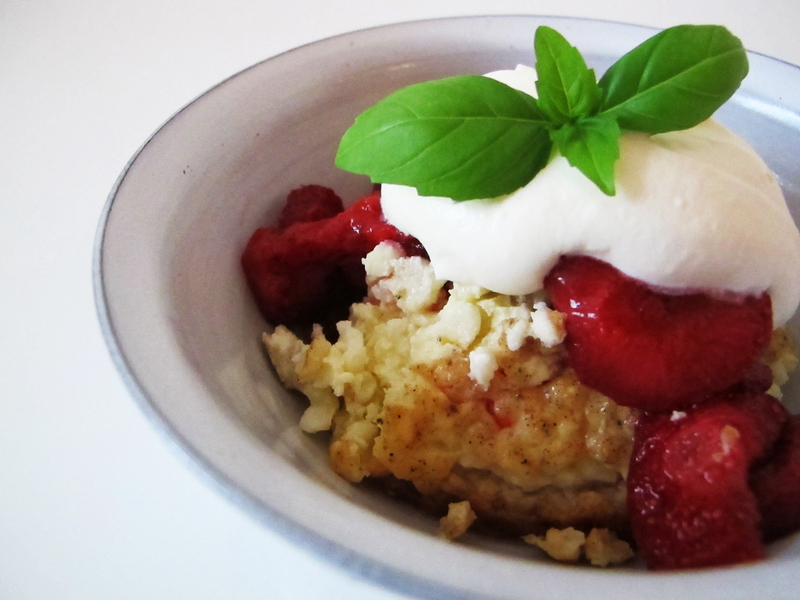 Serve lukewarm (I like it cold too) with defrosted sliced strawberries and whipped cream. Refrigerate any leftovers. I have to say that 1 cup of sugar is American sweetness. So often desserts from other places are less sweet. I like it less sweet. Especially now that I have diabetes. I am enjoying your blog. I really do think that the sugar could be cut to 1/2 cup. Especially if you are serving it with jam (sylt) instead of unsweetened berries and cream. I tend to lean toward less sweet desserts too, so next time I’ll be cutting the sugar to 2/3 cup and maybe eventually down to 1/2. Glad you are enjoying the blog. Best wishes to you in 2012! LOVE This post. This too is one of my favorite tradtional foods and I also love the chewy top bits of the ostkaka. Love the photo of Grandma you have too. Made me happy and sad at the same time. This really is a fantastically good desert with strawberries. Thanks Marla. I love it too, but I’m really going to try and cut down on the sugar next time. I don’t think it would be missed. Happy New Year! I made the Ostkaka last night and it turned out great and we loved it! I used the full cup of sugar, but will cut back next time. I’ll try 3/4 cup. 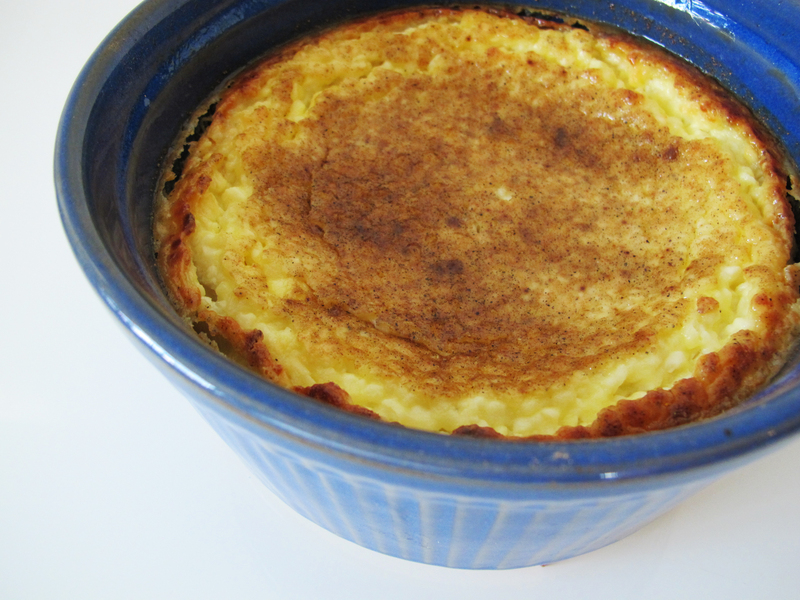 It reminds me a bit of the custardy rice pudding my grandma used to make. I even splurged on strawberries, even tho they aren’t that tasty this time of year. I posted a couple of photos to my blog. Again, thanks for sharing. I’m so glad you enjoyed it. I’ve never tried it with the fresh berries. I really like it with defrosted strawberries so you get some of the juice on there too. Fresh could work similarly if you slice them, toss them with a little sugar and let them sit for a bit, but straight fresh berries would be really refreshing. Thanks again for letting me know how it turned out for you. Hi. I made your ostkaka and used 2/3 cup of sugar, 1/3 cup of ground almonds, 1/4 teaspoon of almond extract and 1 tablespoon of amaretto. It was delicious. I think for AmericansI could have used a little more sugar but for me it was fine. I think next time I will probably use a little more almond extract too. Did you ever find a good recipe for Toscakaka? Thanks for your great blog – love it! Hey Susan. Thanks for sharing your adjustments to the recipe and how they worked out for you. I’m glad you enjoyed the result. And thanks for reminding me about the toscakaka. I have looked in Vår Kok Bok (Sweden’s answer to the Joy of Cooking) and there is a recipe in there. They are usually pretty reliable. I can also ask my mother-in-law if she has a good recipe for it that she is willing to pass along. She is a fabulous baker. I was surprised to see your connection to Lanyon, Ia. My grandparents also settled in that area (Harcourt, Dayton, etc.) & I also lived briefly in Lanyon as a child….. I’ll bet our families were acquainted at some point. Anyway, Having lost my old recipe for Ostkaka, I’m looking forward to trying yours. Thanks! I am certain that our families would have known each other. It’s a very small place and there have been Rohdens in Lanyon since my great grandfather arrived there in 1888. My great grandparents are buried in the amazing Lost Grove Cemetery that is essentially in the middle of a corn field. I have a real fondness for Lanyon and Iowa in general even though I never lived there. I hope you enjoy the recipe. It really is one of my favorites and it’s so easy to make. Hi there. Sorry for a late reply. I’m glad you are enjoying the site, and I’m afraid I don’t have much in the way of suggestions for other sites. I am a contributor to SwedishFood.com which is anticipated to open soon, so you might try there. I am so excited to find your recipe-I cannot get any raw milk-will try your recipe. By the way I think I new your grandmother by way of Erma R and I grew up in the Lanyon/Harcourt area. I have my Rosettes, Spritz, Peppar Kakar, Risgrynsgrot, Rye Bread, Butter Horns, and Lutefisk done. How fun that you found the site and that you knew my grandma! Sounds like you have a lovely Swedish inspired holiday planned. Best wishes to you this season and in the New Year. Our families tradition is Lingonberries too. Strawberries are something new. My Grandparents were full Swedes here in America. Most of the town is Swedish and has Swedish Days every summer. I’ve moved and now am sure I won’t find the traditional ingredients so I wondered how close this tastes using Cottage Cheese? This short cut is more my speed anyhow so I’m interested in trying it! However no offense, but I did find Lingonberries so it will be topped with Lingonberries;). Happy to have found this recipe! Hi Marlen. I’m afraid I don’t know how to go about replacing the cottage cheese with rennet, but I suppose you could start with a straight out swap. I am not aware of an English translation of Vår Kok Bok. It’s a shame really, because it’s such a great cookbook. Everything seems to work! They do alter it somewhat each year, but you would think it possible to have one English translation that is fairly standard. Glad to hear you are enjoying the blog! Good luck with the ostkaka. I have this old recipe: 6 qts milk; 1 1/2 rennet tabs; 1/2 cup flour; 4 eggs; 2 cups cream; 1 cup sugar; 1 tsp vanilla or almond extract: dissolve rennet in small amt cold water. Heat milk to slightly warmer than lukewarm. make paste of flour & a little milk & add to milk. add dissolved rennet & mix in. Let stand abt 45 min till separated then strain through colander. Drain off whey & turn cheese into baking dish. Beat eggs well, add other ingreds., mix well & stir carefully into cheese. Bake in slow oven about 2 hrs. Just before removing, sprinkle a little cream & sugar on top & brown a few mins. at a higher temp. Originally, rennet tablets were used to curdle the milk. However, this only works well with unpasturized whole milk which is not available now. Therefore, cottage cheese has been substituted as it has a similar consistency. The recipes usually are altered with vanilla or almond flavoring to offset the acid taste of the cottage cheese. Pasturized, non homogenized, whole milk can be used with great results as long as the milk is vat or batched pasturized. It works as well as raw milk. It will not work if the whole milk has been ultra-pasturized. The vat or batch pasturized process does not kill the essential bacteria which reacts with the rennet to curdle the milk. This type of milk can be usually be purchased at any health food store or counter. Be sure to check the label to insure that the milk is non homogenized and only vat or batch pasturized. Do you think it is possible to make cook this in a muffin tin? If so, do you have any recommendations? I want to make this recipe for my son’s first birthday party. Thank you! Interesting idea to try a muffin tin. I don’t know that it will set-up in a cupcake like fashion, however, if that is what you are hoping for. You might just try making a portion of the recipe in muffin tins as a test before you commit to the idea for the party. You also might want to have your son try it before the party to avoid any disappointment if he doesn’t like it. My kids don’t happen to like it, but I liked it as a kid. Good luck! I so enjoyed reading your blog re: Ostaka. For one thing, it brought back so many fond memories…especially of my mother-in-law’s Ostkaka. Alma Florence Othelia Lindahl married Arvid Bloomquist and my husband, Kenneth Bloomquist, was one of the results! Both of his grandfathers immigrated. I’ll not go on with the genealogy. The memory…Ostekaka (that’s what the kids called it) with lingonberry jam was a Christmas favorite. One of Boxholm, Iowa’s school cheers was even…. Come on Boxholm, yippy, yippy yam! No kidding! So here’s the family recipe from his childhood (he’s 83) and my 61 married years. Heat milk till lukewarm, add one of the flour mixtures and stir well. Add rennet dissolved in 1 tbls. water. Let stand till solid. Stir (whisk) it up and drain off the what ina colander. Add there ingredients ( extra milk if curds are too tough) and back 1 hr. or so at about 300. You’ve got to realize this comes from a mom that baked her weekly rye bread by using the dents in her pan for measures…and a fist of this or that…you get the picture. And my hubby expected me duplicate that??? Thanks for letting to ramble on. Thanks for your comments Annie. It’s always so nice to hear that someone has enjoyed a post. And thank you for sharing your family recipe. I have never tried to make ostkaka using rennet. It would be fun to try at some point, but like you, I prefer the simple version. And it’s also what I know from my childhood so it doesn’t matter how authentic any other recipe might be, if it’s not the one you grew up with, it’s just not the same. 🙂 Funny that you mention the kids calling it ostekaka. That is what we called it in our family too. I think it must be the old Swedish way of saying it. The Swedish language has been modernized quite a bit since my great grandfather immigrated to the US. When my husband would speak Swedish with my farmor, he could understand what she was saying, but her pronunciation was quite different. Probably essentially preserved from Sweden in the 1880s. So interesting. Many thanks again for taking the time to write. One more thing…you don’t have to reply…my husband’s mother and father….Alma and Arvid, spoke Swedish at home…and so did his grandparents from Sweden, BUT they would not teach the boys because they were American and should not speak Swedish. I live in a mostly-Swedish community in Nebraska. Our Christmas food includes ostkaka topped with whipped cream and lingonberries, potato bologna and lutefisk. Our grocery store and meat mkt. both make their own potato bologna. Lingonberries are shipped fresh from Sweden. Berries are rinsed, simmered in a sauce pan with some water and sugar. They are very,very tart, so amount of sugar is adjusted to taste. Simmered long enough with the water and sugar, they thicken slightly. Refrigerate before serving on ostkaka. With these tart berries, you’ll want the ostkaka sweeter. How lovely that you can get fresh lingonberries. They are indeed very special. I am a descendant of lovers of Ostkaka, Swedes of the Småland region of Sweden who came to Travis County Texas in the 1870’s settling in places like Lund TX and New Sweden TX. They always used the original raw milk and rennet recipe. My daughter and I have used this cottage cheese “cheater” (as I call it) recipe. There is a dairy in Georgetown TX that sells raw milk and I do have a goal to make it the old way. Thanks for helping to keep these old traditions alive! I write about them too on my web sites including Texas Organic Home. My mother, Edna Axell Sandstrom spoke Swedish as did all that generation and the generations before. 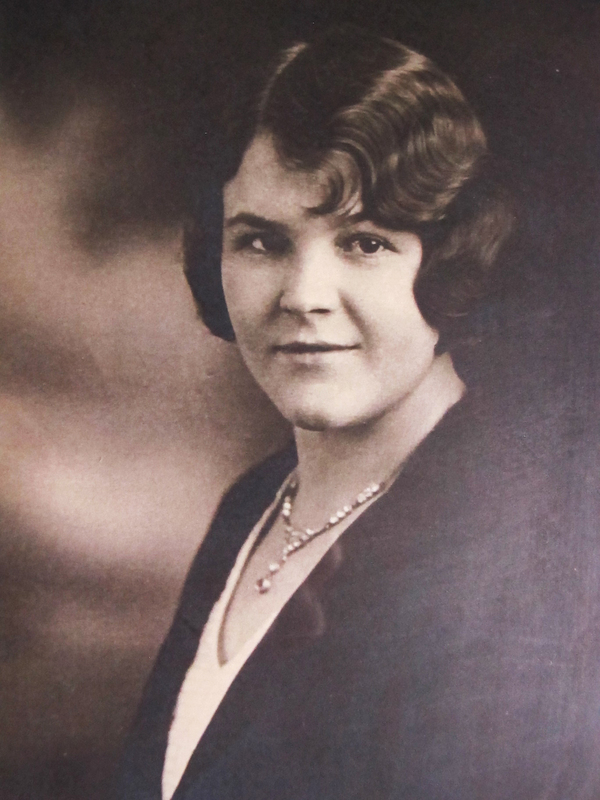 Betty Signe Bengston was my grandmother who married Oscar Waldemar Sandstrom. Gustav Ax, my mother’s grandfather served the Swedish Crown as Corporal Ax in Sweden. Gustav Ax was from Svenarum parish, in Småland. Gustav’s wife Johanna Swenson was from Forserum, Småland. They were the first in New Sweden’s Lutheran church’s church book. New Sweden Texas in Travis County, near Austin Texas is now basicly called Manor TX. There aren’t a lot of people who know where their Swedish relatives actually came from. How nice that you have that history recorded! This is a very interesting recipe using cottage cheese and am enjoying reading this blog. I will have to try this recipe! I live in a small Swedish town in northeast Kansas and am half Swedish. Every year now for 60 years, our Lutheran church (with very deep Swedish roots) puts on what they call the “Swedish Supper”. In fact it was last night. I made three recipes of ost kaka for it, and this morning just finished making four more for myself. At our supper we serve lut fisk with white sauce, köttbullar (Swedish meat balls), potatis korv (potato sausage), press kicking (pressed chicken), potatis au gratin (potatoes au gratin), bruna bönor (brown beans), potatissallad (potato salad), kal-sallat (cabbage slaw), sill salad (herring salad), inland sill (pickled herring), rödbettor attika (pickled beets), press gurka (sweet pickles), ragbröd, (rye bread), hvetteböd (white bread), fruit soppa (fruit soup), lingon (lingonberries), ost kaka (clabbered sweet milk), kräm (thickened grape juice), sockerstruvor (rosettes), spritzer (spritz cookies), pepparkakor (ginger cookies), kaffe (Swedish coffee) plus some American things like different jello salads and deviled eggs. (I don’t have the correct accents on some of the Swedish words as I can’t find them on my keyboard. Warm milk to lukewarm, add flour mixed in a cup or two of the milk. Add rennet dissolved in 1 tablespoon of lukewarm water. Stir until mixed well and let stand for 20-30 minutes or until thickened. Cut through and gently stir up the clabbered milk and strain through a colander until getting most of the whey off. Add sugar beaten eggs, cream, salt and flavoring. Pour into a large baking dish and bake in a slow oven at 325-350 degrees until firm. It is helpful to set the pan in warm water to keep from getting the bottom brown. A lot of the people like the thickened grape juice on top of the ost kaka and some put the lingonberries on it. My Swedish mother in law left her recipe in her.own hand writing for me and I still make it every Christmas and sometimes in between like last night. I can’t find rennant tablets but junket tablets work just as well. We use Lingonberries with whip cream. I make her Swedish spritz cookies every Saturday morning grandkids favorite and egg aroma. Thanks for sharing. Those are some lucky grandkids! Thanks for sharing your story. Maia, Thank you for the recipe! 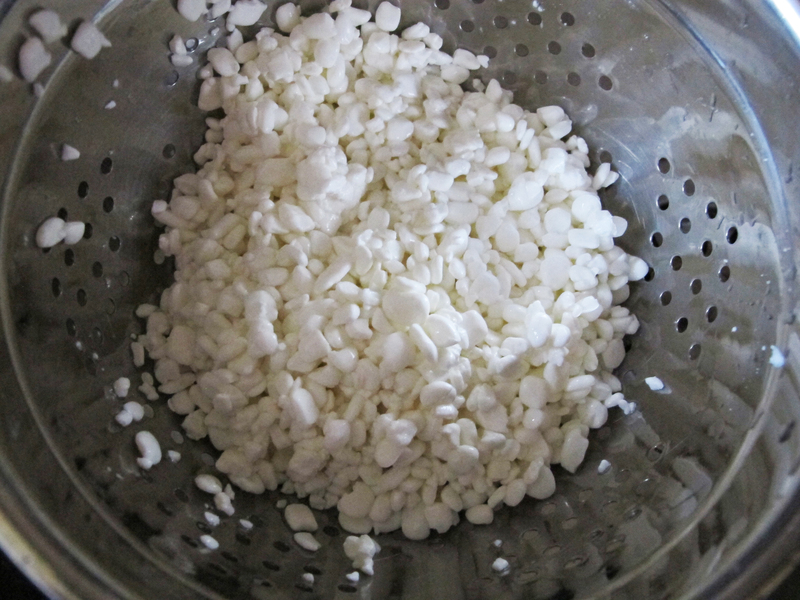 Rinsing the cottage cheese made a huge difference compared to another recipe I tried. I am German (living in WA). In Germany, cheesecake is made with quark and I also use yogurt if I can’t get good quark. I am wondering if quark or yogurt would work instead of cottage cheese if you don’t want to go into the whole rennet thing? Hi Monika. So glad to hear the recipe worked well for you. The texture of the curds is really essential to the final product, so I don’t think yogurt of quark would work. But if you give it a try and are happy with the result, it would be nice to know! My dad loves ostekaka and our farm is one mile from Lanyon! We have Rhoden friends! My mom makes it the traditional way, with rennet. Hi Lisa! Those Rhodens must be my relatives! Please give them my best. Lanyon is a beautiful place. Laverna was Ted Rhoden’s aunt (his father’s sister). Ted works with my dad, farming, and lives 1/2 mile from my parents’ farm. Ted’s kids Kevin and Sheryl went to school with me. Kevin said that Sheryl found your blog a few months ago. He’s hoping that the recipe you linked to for Swedish rye bread is the same that his grandma served at Paton Place (a former restaurant in Paton, Iowa). How fun! Thanks for the update on my relatives! I loved Paton Place. I remember eating an AMAZING stuffed port chop there. I’m sorry to hear it is gone. The rye bread recipe is what my grandma Laverna used to make. I love it! All the best. Can’t wait to try this recipe. We live in Pittsburgh, Pennsylvania, but our Farfar and Farmor moved here to be closer to us, our 4 children and 15 grandloves. We have all visited relatives in Slattburg, Orsa and loved every minutes of it. I use lingonberries on everything…get it at our local IKEA, but have certainly picked them by the side of the road in Sweden as well…nothing better! I’m thrilled to get this recipe and it’s guaranteed to become a family favorite. Thanks for sharing.